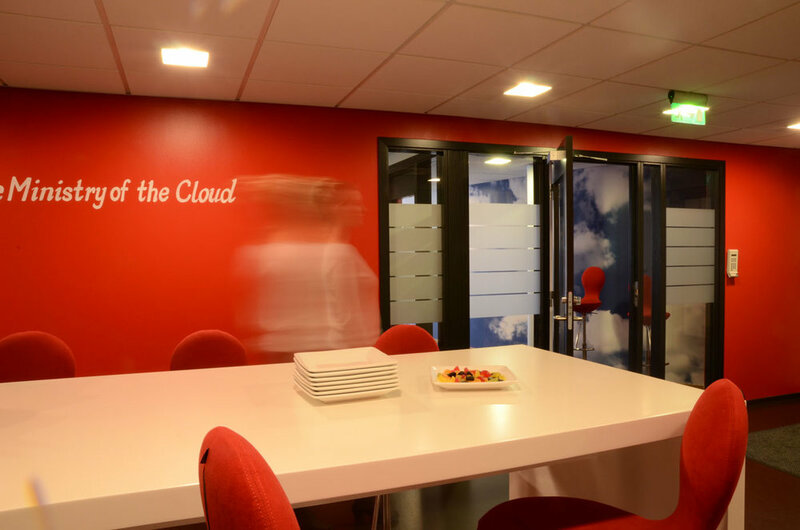 SuperOffice provides cloud-based software services to customers. 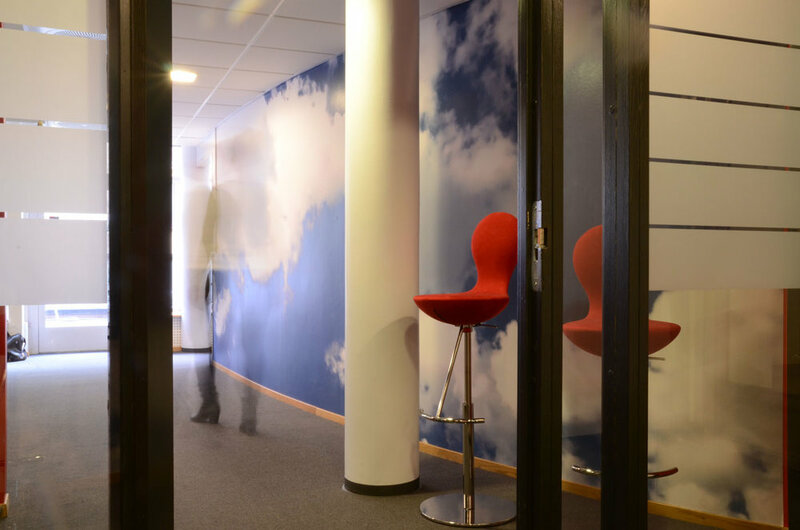 We agreed with the client that it would be natural to create a meeting space that was also, in the clouds. 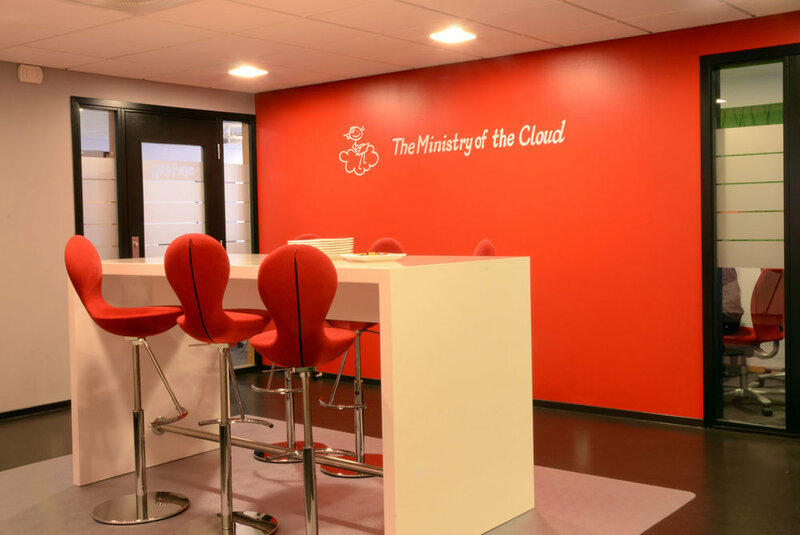 The Ministry of the Cloud. 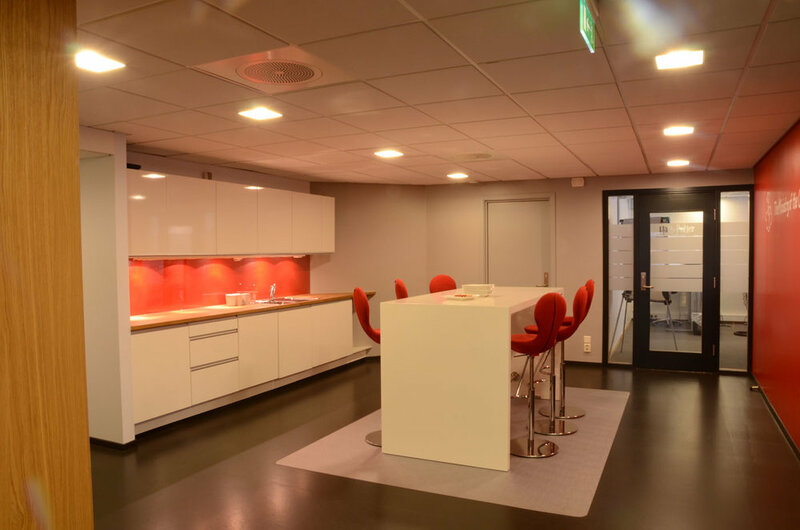 The existing meeting room was a neutral space, all white with no windows, and with curved walls meeting in a point. 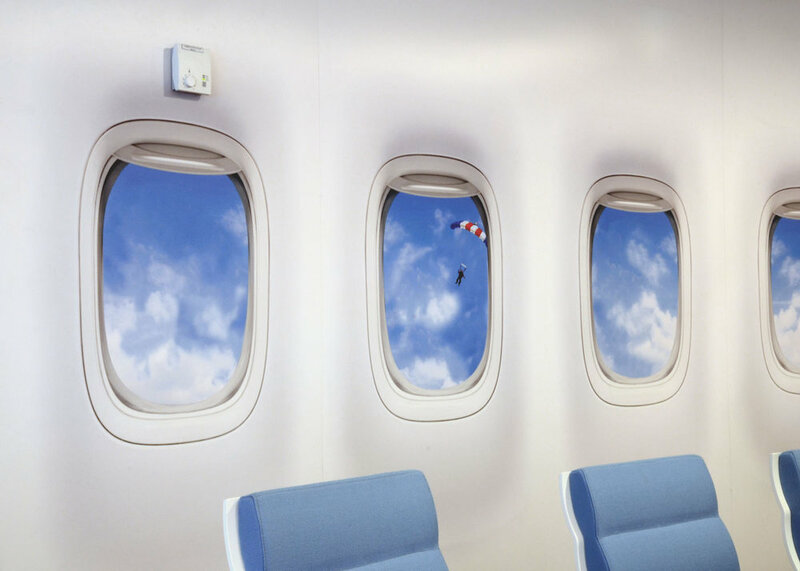 With some creative adaptation, the room was transformed into a aircraft cabin. 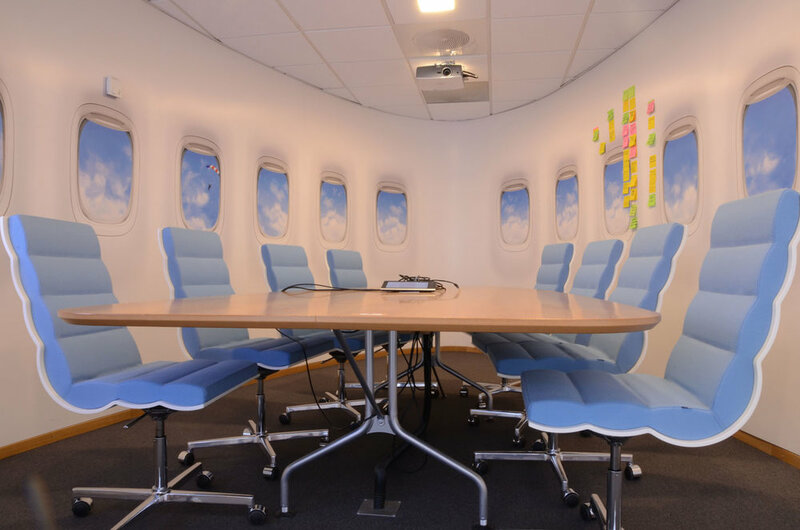 To reproduce the feeling of being in an aircraft, a fuselage design was printed on large PVC plates fastened to the walls. 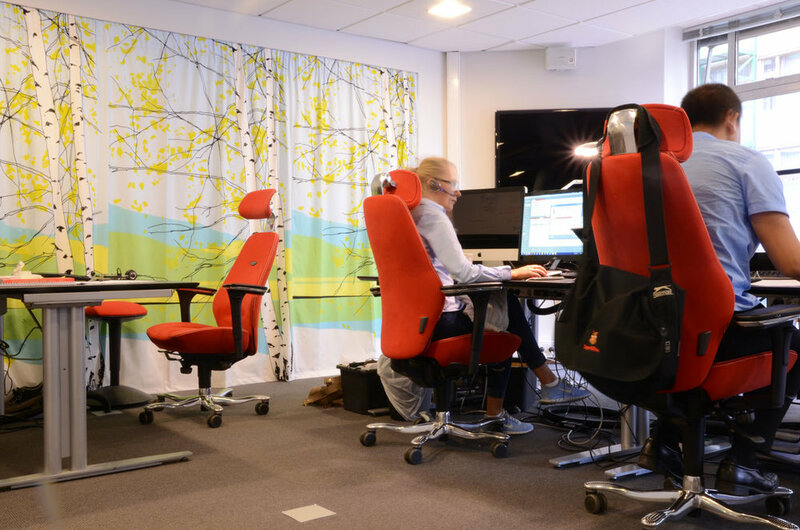 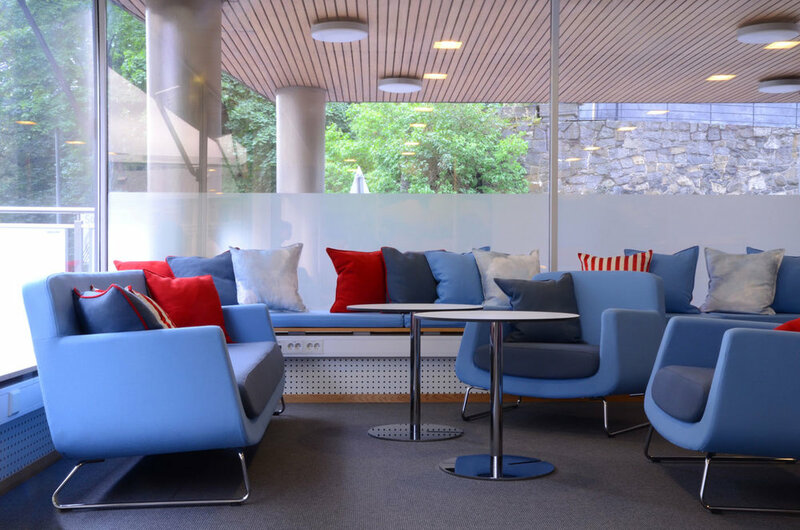 The meeting room serves as an ice-breaker, and our customer is getting a lot of positive reactions. 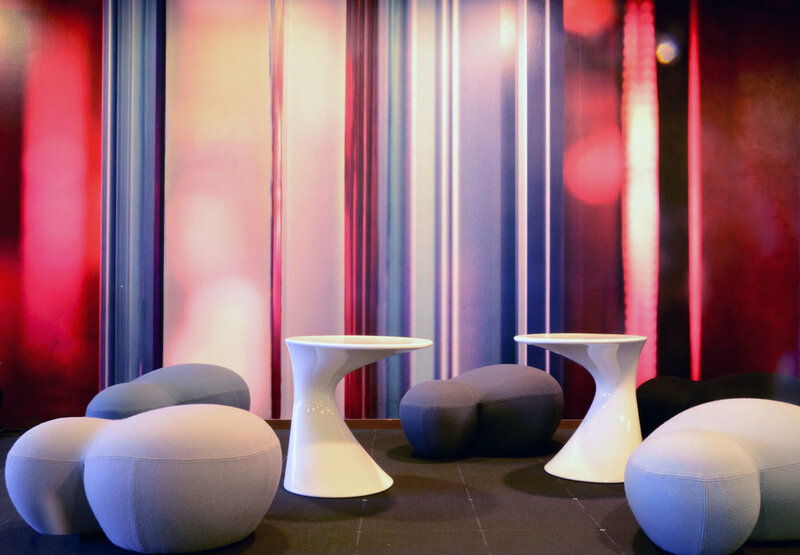 This project shows that its OK to use humour in interior design if this can be done in a way that adds to the corporate identity.